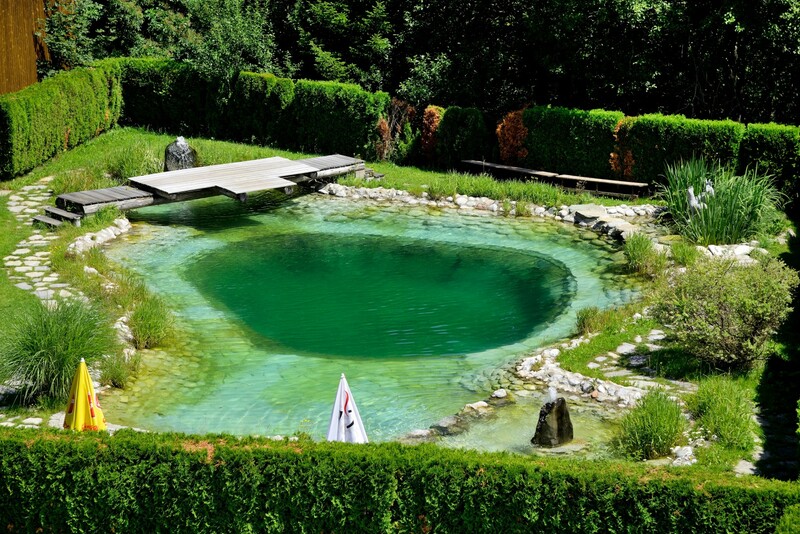 You won’t just have fun in the water on swimming holidays and family holidays in Zell am See in the Jaga Alm Mountain Hotel during July and August, but also from May to September thanks to the hotel’s own heated swimming biotope. The wonderful panoramic views of the Zeller See Lake and the mountain summits of the nearby Hohe Tauern National Park are the perfect setting. What could be nicer than feeling the sun on your face and every now and then jumping into that crystal clear water? At the hotel children can enjoy the petting zoo at the children’s playground or go out for an occasional pony ride with the Mr. and Mrs. Pfeffer’s daughters. free services including many trips and activities for children up to 12 years!